November 30, 2014 in Features & Mentions, India, My Travelogue. November 27, 2014 in India, My Travelogue. November 24, 2014 in Just Musings, Moving to South Africa. For this week’s challenge, here is what I think is angular. This is a picture taken years ago in Orchaa, a small town in Madhya Pradesh, India. November 23, 2014 in Photo Challenges. 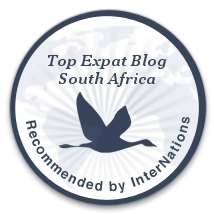 November 21, 2014 in Features & Mentions, Joburg, Restaurant Reviews. November 17, 2014 in Joburg, Restaurant Reviews. Making food look this pretty, is got to be an achievement for the chef and the restaurant alike. The food at the Silver Orange Bistro in South Africa does not only look pretty but tastes as good too. November 15, 2014 in Photo Challenges.